Avalie o evento e emita seu certificado de participação. 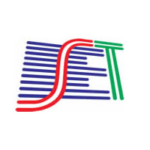 SET is announcing its participation at 2016 NAB Show, with a series of activities aimed at promoting and strengthening business opportunities for the Brazilianbroadcast and new media market. NAB Show is the world’s largest trade show for products and services in the fields of broadcast, digital media and television, and is promoted by the United States National Association of Broadcasters (NAB). This year, the event will take place between April 16th and 21st, in Las Vegas (USA). Around 100,000 participants are expected from 150 countries. Those interested in visiting the trade show enjoy special service. SET will do the registration for free. When you get to the exhibition pavilion, just pick up your badge. Only for those registering through the SET site (visiting the Trade Show or registering for the SET BREAKFAST @ NAB Show) and signing the register in the SET Room or on the SET Booth. The SET Breakfast @ NAB Show is an 3-day conference session that brings together opinion leaders, professionals and businesses to discuss the key trends and technological innovations in broadcasting and new medias. The event kicks off at 6.30 am, and ends at 9.00 am each morning. Around 400 people participate. In 2016, the SET Breakfast will celebrate 25 years. April 18th, 19th and 20th, 2016 – from 9:30 a.m. to 5:30 p.m.
A meeting point for Brazilian and Latin American visitors registered by SET, who will have support services such as computers, internet, coffee, water and meeting tables. There is no charge for using it and booking is not required. April 18th, 19th and 20th, 2016 – from 9:00 a.m. to 6:00 p.m. The SET Booth at the NAB Show promotes SET´s events and activities among the professionals circulating in exhibition pavilion. It is also an excellent meeting point and area for business meetings. The focus this year will be SET EXPO, which will take place in São Paulo between August 27th and September 1st, 2016. Every year, SET teams up with the US Consulate and the official tourist agency, BrazilUSA Turismo, to organize the official participation of the Brazilian delegation at the NAB Show, offering attractive travel packages that include airline reservations, hotel bookings and transfers. Organized by the Union of Electrical, Electronic and Similar Devices of Electronics Valley (Sindvel), the Brazilian pavilion hosts those Brazilian companies exhibiting at NAB Show. SET supports this initiative and, at the trade show, it gets involved in promoting and advertising their activities.